www.tek-tips.info is an Open Database and it operates with a motto of collecting and sharing technical solutions to the problems in science and technology. The purpose of this site is to provide information to the public. Even though every care has been taken in compiling the information forwarded by certain enthusiastic users, we doesn’t guarantee the accuracy of the content or information that provided in this site and won’t be responsible for the content and any form of errors. www.tek-tips.info will not be responsible in anyway for any damages/consequences that might occur due to inclusion of some incorrect content or information in this site. You can use this information solely at your own risk, for which we shall not be liable. It shall be your own responsibility to ensure that any products, services or information available through this website meet your specific requirements. Users submitting questions or answers or code to this site, asserts that he or she owns that data or otherwise has the right to redistribute it freely. www.tek-tips.info assumes no liability for disputes regarding ownership, copyright, or trademarks of the data submitted to this site. www.tek-tips.info reserves the right to refuse to post any submission, to alter submissions, and to remove a submission from the site. 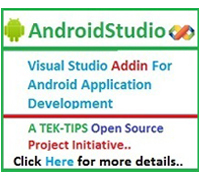 www.tek-tips.info may exercise this right without any advance notice to the individual submitting the code or content. All trademarks and company names published in this site are subjected to their respected owners and companies. Regarding online test, this data is collected and submitted by various users/visitors around the world. 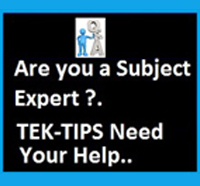 www.tek-tips.info will not be responsible for any INCORRECT questions , answers, re- occurrences or repetition of questions. This website contains material which is owned by or licensed to us. This material includes, but is not limited to, the design, layout, look, appearance and graphics. Reproduction is prohibited other than in accordance with the copyright notice, which forms part of these terms and conditions. From time to time this website may also include links to other websites. These links are provided for your convenience to provide further information. They do not signify that we endorse the websites. We have no responsibility for the content of the linked websites. 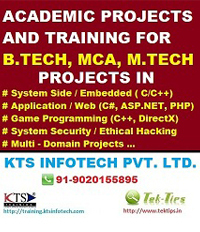 This is an OPTIONAL service provided by www.tek-tips.info. Visitors can register into the site on their own interest, it is not mandatory. This registration into the site permits the user to maintain and modify the data submitted to the site and post questions and answers to the discussion forum etc. The personal information that is collected during this registration process will NOT, be distributed and shared with any other third-parties. While submitting the registration form, you also agreed to provide and maintain true, accurate, current and complete information about yourself as prompted by the Service's registration form. Although we verify the E Mail address submitted by you at the time of registration, we NEVER verifies the accuracy of Personal Information that is submitted to the site and it is the sole solely responsibility of the user to provide accurate information. www.tek-tips.info reserves the right to suspend or permanently delete any user, if the data or information provided by the user is inaccurate, not related or incomplete or if the user violated our terms and conditions in any manner. www.tek-tips.info is against in sending spam, unsolicited emails. You should not use our service and you are not authorized to use our referral or email services, for your personal or commercial purposes. By usage of this service you agreed that to our policies. Violating these policies in any manner subject to violation of respected laws and necessary action will be initiated against the defaulters. All pages, data and graphics presented on this website are the property of www.tek-tips.info. The pages may not be redistributed or reproduced in any way, shape, or form without the written permission of www.tek-tips.info. We respect the copyrights, trademarks and intellectual property of others and also we expect this from other users. In this site, if you found any information that is owned by you or any content that violates your intellectual property rights, please contact to us with all necessary documents/information that authenticate your authority on your property. www.tek-tips.info is committed to ensuring that your privacy is protected. Should we ask you to provide certain information by which you can be identified when using this website, then you can be assured that it will only be used in accordance with this privacy statement.We may change this policy from time to time by updating this page. You should check this page from time to time to ensure that you are happy with any changes. The information contained in this website is for general information purposes only. The information is provided by www.tek-tips.info and while we endeavour to keep the information up to date and correct, we make no representations or warranties of any kind, express or implied, about the completeness, accuracy, reliability, suitability or availability with respect to the website or the information, products, services, or related graphics contained on the website for any purpose. Any reliance you place on such information is therefore strictly at your own risk. Every effort is made to keep the website up and running smoothly. However, www.tek-tips.info takes no responsibility for, and will not be liable for, the website being temporarily unavailable due to technical issues beyond our control. tek-tips.info may revise these Terms at any time by updating this posting. You should visit this page from time to time to review the then-current Terms because they are binding on you. Certain provisions of these Terms may be superseded by expressly designated legal notices or terms located on particular pages at this Site.